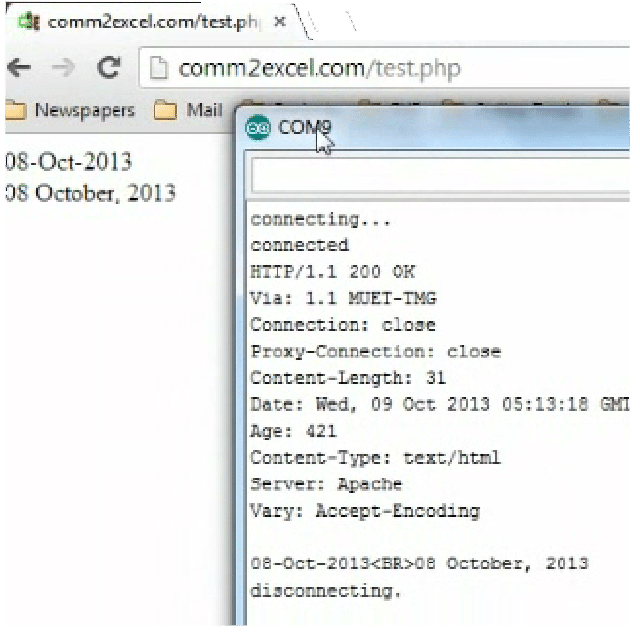 Just Connect Arduino Ethernet Shield on the top of Arduino or Arduino Mega, and connect Ethernet cable on which internet is accessible, and use the code given below to connect to the Internet using Arduino. In this program, we are downloading a test page from galaxysofts.com, which shows Date in two different formats. * This code was earlier posted on comm2excel.com, which is closed and now we are transferring data to galaxysofts.com.